While I appreciate The Hour Editorial Board recently highlighting issues on Wall Street, I take exception as to how my office and employees were portrayed. This is not a case of both sides bearing blame, rather, it rests at the feet of Jason Milligan, who is waging a public relations campaign against me and my administration entirely for his own benefit. This Spring, the city and Redevelopment Agency became aware that the original developer of the POKO project had plans to sell properties to Milligan that were subject to a Land Disposition Agreement. We alerted both parties that a transfer could not proceed without prior approvals. Those letters went unanswered and ignored. Then, on May 31, Milligan assured me he would not close “tomorrow” on these properties. Turns out, he had already completed the transaction. He continues to assert that this play on words was not “a lie.” As The Hour suggested, we did have “grown-ups in the room,” but Milligan was unfortunately not one of them. Despite this, I remain willing to work with him. I always put the city’s best interests above my personal feelings. To that end, we have asked Milligan to provide information regarding the identity of the members of the shell company he formed to buy the properties. We need this information to ensure there is no conflict of interest with its members and the city. This is standard and what is asked of any developer before a project moves forward. Instead of providing this benign information, Milligan chooses to antagonize me, harass my staff, and refuse to follow any procedures or regulations. Also, while there is a pending lawsuit based on the illegal property transfer, Corporation Counsel has asked that all communications go through their office. All parties have been made aware of this simple request, but Milligan cannot help himself. He calls, texts, and emails me and my staff multiple times a day – early in the morning, during the afternoon, late at night and throughout the weekends. And just recently, he barged through the Law Department where confidential files are stored and private conversations occur. He is the only member of the public that I can recall who felt entitled to walk past a clearly marked “stop sign” instead of ringing a bell for service. 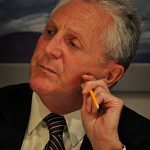 Milligan is right about one thing – there are issues with zoning – which is why the city plans to do a complete overhaul of that code once the 10-year Plan of Conservation and Development (POCD) is complete later this year. Yet, that does not mean developers cannot request a text amendment or variance in the meanwhile. It happens all the time and in a public forum. In fact, staff repeatedly offered Milligan the paperwork to allow him to be heard by the Zoning Commission. This would expedite his projects, but he refuses to fill out the forms, and instead yells at staff and calls them names. His tactics are exhausting – and I truly wish he used this energy to come to the table and work for the Wall Street neighborhood – not himself. Finally, as with Milligan’s other grievances, there is a process for obtaining a variance to install murals that would otherwise violate zoning. Again, rather than following the process, he has continued his antics by covering one with Tyvek, starting a petition drive and filing formal complaints on other murals around the city. Milligan acts as though rules do not apply to him. He has been untruthful, secretive about his business partners, harassing civil servants, demanding preferential treatment and filing zoning complaints against others to try to get his way. We do not play favorites, negotiate back door deals, or bend the rules for anyone. We will not be intimidated or threatened into doing otherwise. That is not how the city is run under my leadership. Milligan is no different and is not being singled out despite his best attempts to play martyr. While he is committed to creating a media circus aimed to distract from the real issues and try to embarrass me, I remain committed to transparency and fairness in effort to help revitalize Wall Street. I wish Milligan shared that same belief because then maybe we’d get somewhere – together. 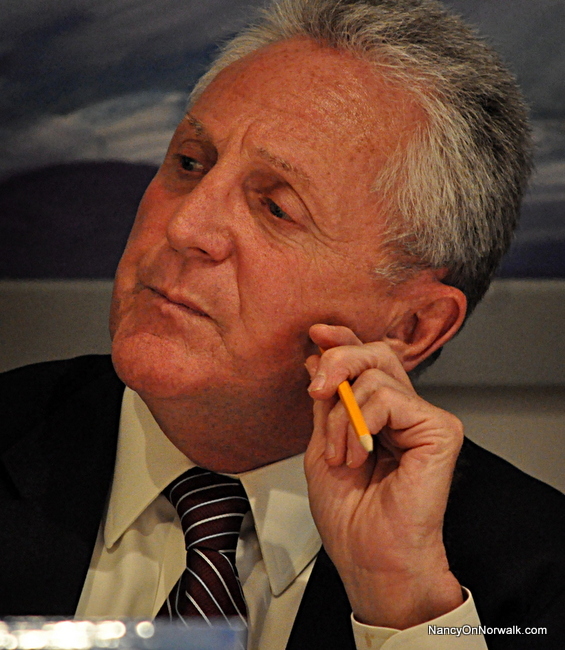 Thank you Mayor Rilling for your response ! That took an army of creative writers almost two weeks to stitch that nonsense together. Part-Time Mario has insisted everything I touch regardless of how insignificant must go through him. He has threatened and scared nearly every public employee and volunteer from speaking to me. Then I call and email him and his office only to be ignored. So I have to actually go to City Hall to the law office even if I need something minor like a permit. Half the time the law office is a ghost town. I have never barged in their office. When it is nearly empty I loudly announce my presence. I have proceeded gingerly down the hallway toward the sound of humans on occassion without issue. Derrand called the police the other day, no doubt at Mario’s direction. The visit was literally 90 seconds and completely benign. He called the police so they could try to create a false narrative that I am bothering them. I want nothing more than them to clear out of the way. Stop going out of their way to block me. Stop issuing violations against me. Let me build up Wall Street. I get that they are embarrassed and have bruised egos, but Norwalk deserves better behavior from its leaders. Harry, I am 1 taxpayer. You are the Mayor! Stop whining. Take some responsibility and start acting like a leader. Otherwise, step asside and let someone else run this city. If there was ANY action on Wall Street and Poko there would not be any need for any of this from Milligan. What is happening there? Nothing in plain view. The tyvek building has there for any able body person to see for months/years so when you write an editorial saying Milligan is hurting your feelings it comes off as petty. Do something for heaven’s sake. Mr. Mayor. I read your letter and don’t full accept your explanation of this situation. There is no way you can honestly say it is all one sides fault here. There is clearly a personal dimension to this that you need to let go of. If I am wrong, why not prove your administration is open to work with Mr. Milligan by fixing the mural debacle? You’re not just helping Mr. Milligan, you are helping the others caught up in the silly mess and the citizens who enjoy the murals. Maybe then Mr. Milligan will reciprocate and you can both start solving real problems. I guess what I am saying is – if you think you are dealing with a child, you need to BE AN ADULT. You are the Mayor of one of the largest cities in Connecticut. Make us proud and act like it. I can sincerely thank Harry for one thing. It was his secrecy and non disclosure agreement that prompted the formation of the Wall Street Neighborhood Association, which I am very proud to be involved in. I am continually stunned how out of touch and out of step Harry is with the people of Wall St. He used to be a man of the people, and a real likeable guy. He has changed though. Now Harry comes accross as angry, impatient, and arrogant. He stopped listening and doesn’t seem to care. Accountability. “In ethics and governance, accountability is answerability, blameworthiness, liability, and the expectation of account-giving” (Wikipedia). Does this LTE opinion piece show a shred of accountability? Better question – would anyone who knows how this mayor operates expect even a fraction? Harry makes promises in October every two years – and never lives up to them. 2013 – “going fix planning & zoning”. Sure. Added a highly-paid assistant where none was needed before, so Harry could be more effective. Sure. 2016 – “Fix it first” plan for the schools. Sure. 2018 – new reorganization plan – taxpayers on the hook for a million more a year – the assistant is now “chief of staff” – no measurable metrics in place to measure return on investment for the taxpayers. Sure. Firetree – sorry can’t explain. Sure. The list is endless. And why should he be? His reward for repeated, measurable failure is re-election by the dim Norwalk party-centric voter. A classic case of voting against your own best interests. It is my opinion that this is the worst Norwalk mayor in 50 years. Asking Harry to be “accountable” is like asking a dog to make a cheesecake. Old saying – lead, follow, or get out of the way. Harry can’t do any of these. Which conjures another saying – 3 strikes and you should be out. Interesting. The Mayor has implied that he has been willing to work with Milligan despite all that has ensued. When I read this, the first thing that came to my mind was the City Hall meeting Mr. Milligan attended much earlier on where he was ambushed and interrogated by an attorney and several adversarial individuals behind closed doors, when he thought he was going to be attending a friendly meeting to discuss things. That ambush which occurred earlier on contributed to an adversarial tone around the Milligan vs. City Hall situation, which was covered here on NoN. I was disappointed when I read what happened because I felt City Hall abused power to corner and intimidate Mr. Milligan. Mr. Milligan may be no angel, but from what I read, City Hall has not been innocent here either. The title “Milligan’s antics won’t help Wall Street” is misleading. It sort of implies that Wall Street won’t be helped because of Milligan’s antics. Milligan’s antics have not hurt Wall Street. From what I can see, Milligan’s antics actually have helped Wall Street: they have opened up dialogue and lit a match under City Hall to proactively pressure Citibank more on the condition of POKO I more than had been done prior (progress); they have enthused people whose POCD Survey input was disregarded and opened up a dialogue with taxpaying Norwalkers and Wall Street business owners/residents previously ignored by the Mayor and City Hall who have creative big picture vision as to what Wall Street area could and should be (progress if City Hall chooses to see it that way); they have displayed that P&Z is inconsistent in how it issues violations across Norwalk, which brings the city down with blight, crumbling infrastructure and questionably zoned parcels; they have exposed that P&Z could be more flexible and act more quickly on implementing quick changes to improve things here for start up businesses instead of blocking them inflexibly (growth requires flexibility); they have exposed that City Hall is pro big development and pro preferred developers and that huge progress could be made around Wall Street with quicker, cheaper fixes and with encouraging and incentivizing more businesses to come in. All good stuff. Addressing the weaknesses and proactively fixing them together would a better Norwalk make. Please sit down together, gentleman, with the business owners and residents of Wall Street, and discuss the above highlighted hot topics and how we can come together on moving forward with the best possible outcome for Wall Street. There are so many passionate residents who would like to see this happen and be a part of it in supporting you both. Let’s do this together. What we all have in common is our love of Norwalk and our belief that Norwalk deserves Excellence. Let’s make it happen. The truth is Harry has not been willing to meet with me or talk with me. He says that he is and then has Mario issue poison pill preconditions that they know I will not adhere to. I sent Harry a few texts this morning. No response. I am willing to speak on the phone, meet in public, meet in private. Dialogue is good. Surely we can find a happy middle ground that would respect City Hall authority while at the same time listening and responding to the needs and desires of the people. Alex Knopp was the “adult” or leader that helped solve the library debacle. Should he start warming up in the bull pen? i, for one, applaud Jason’s ‘antics’. Nothing gets done in this town when we rely on our elected (and some not elected) officials to do things. The city should be doing backflips to help Jason get this problem fixed. When you’re drowning you shouldn’t be this picky about what the life boat looks like. Jason should be a trusted developer going forward and it seems obvious to everyone outside City Hall that the town benefits if he is successful. Large piles from the mall are in violation and they issued a violation about a mural. Seriously a mural, art! I am sure Milligan will say his first amendment freedom of speech in his opening statement for his lawsuit against the city. Lucky he did no put a religious symbol in his mural then the city would really be in deep trouble. But do they care. The pay checks just keep coming. Seems like the city needs a leader to come forth from some department to get through this. Mr Mayor have you returned any of his call email or text besides the comment about his maturity?